** CLEAN CARFAX ** Evo Motors is pleased to be currently offering this 2017 Nissan Versa Note SV with 40,694mi. The 2017 Nissan offers compelling fuel-efficiency along with great value. You will no longer feel the need to repeatedly fill up this Nissan Versa Note SV's gas tank, in part because of it's superb EPA rating. The look is unmistakably Nissan, the smooth contours and cutting-edge technology of this Nissan Versa Note SV will definitely turn heads. 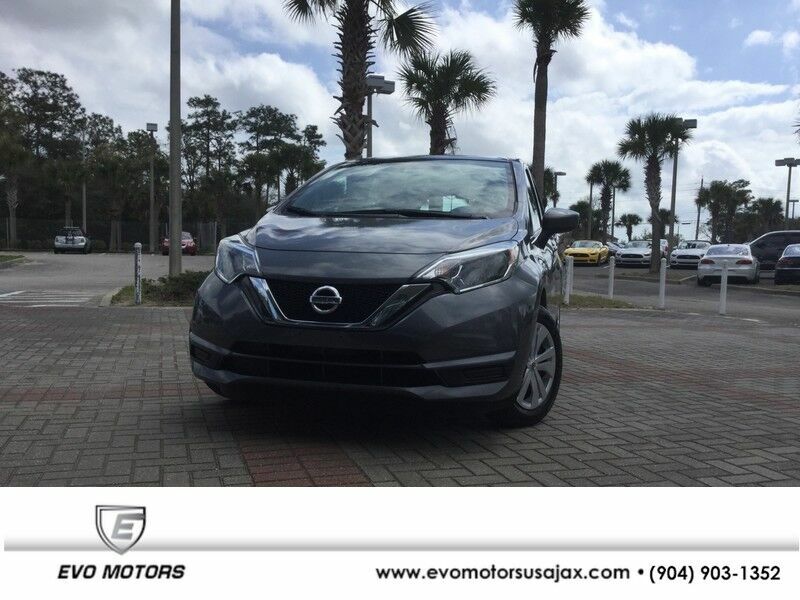 The quintessential Nissan -- This Nissan Versa Note SV speaks volumes about its owner, about uncompromising individuality, a passion for driving and standards far above the ordinary. ** FINANCING AVAILABLE ** CALL 813-621-7799 ************* ORIGINAL PRICE ************* **To receive the lower advertised price or Preferred Payment discounted price purchaser must purchase the vehicle using one of the following preferred payment methods: Cash, Cashiers Check without lien recording instructions, Capital One Auto Navigator pre approval, or Financing through the dealership with an Approved lender. **YOU MAY CONTACT THE DEALERSHIP FOR A LIST OF APPROVED LENDERS **. A list of approved lenders maybe requested by email or talk to a sales representative. If buyer is purchasing the vehicle using any other payment method ORIGINAL price will apply. **All Truecar price certificates will reflect ORIGINAL price** All prices advertised on any Credit union or third party lenders buying service facilitated by third party websites are original prices and not the discounted price. customer may choose to receive the discounted price if they pay for the vehicle with a preferred payment method. Legal Disclaimer: The entire contents and information of this website is deemed reliable but not guaranteed. (IF APPLICABLE) Sales Tax, Titling and registration cost and $899 Dealer Service Fee are additional to the advertised price EVO Motors is not responsible for typo graphical errors. The information in any online vehicle listing is deemed reliable but not guaranteed, Purchaser must verify all listed options and description before finalizing a purchase. Sold vehicles may not be removed immediately from online listings, shopper must call ahead to verify availability and pricing. There is no such thing as a perfect used car shopper must expect wear and tear. Prices may change at any time without a prior notice. Selling Dealer does not manufacture vehicles offered for sale nor guarantees the quality of materials or accessories installed on any vehicle. The information in any vehicle description may not be considered a promise of warranty or as a statement about the condition or the history of the vehicle. EVO Motors does not pay for shipping charges for out of State or local purchasers. It is the customer's sole responsibility to verify the existence and condition of any equipment listed. Neither the dealership nor AutoRevo is responsible for misprints on prices or equipment. It is the customer's sole responsibility to verify the accuracy of the prices with the dealer. Pricing subject to change without notice.